Content marketing is one of the hottest strategies in digital marketing today. Organisations of all sizes have embraced content marketing – from conglomerates like Coca-Cola, Amazon, General Electric, and Microsoft to start-ups, SMEs and government agencies. According to a recent survey conducted by the Content Marketing Institute, 91 percent of marketers used content marketing to boost their business online. Similarly, most Asia Pacific marketers believed that content marketing has the most commercial impact on their businesses. Indeed, many of you would have heard of the saying that “Content is King” – a popular term attributed to different folks like Bill Gates, Rupert Murdoch, Sumner Redstone and even Google. But hasn’t content always been around? After all, we’ve been consuming tonnes of content each and every day – television programmes, books, newspaper and magazine articles, blog posts, YouTube videos, games, and more. In fact, we are literally swamped by content every which way we go! In this article, we will examine what content marketing is, and highlight some of its main characteristics. Put another way, the role of content marketers is to create and share a variety of content, and use these content to acquire new customers or delight existing ones in a methodical and strategic manner. Such content normally include blog articles, Facebook photos, infographics, tweets, videos, emails, webinars, slideshare presentations, white papers, podcasts, e-books and many others. While traditional media companies have always been doing a form of “content marketing”, the use of content as a means of attracting and acquiring customers is relatively new for most other businesses. Let us go through this in a step by step fashion. The first important concept in content marketing is what we call the Hub and Spoke strategy. Catalysed by the onset of social media, Search Engine Optimization (SEO), emails and other channels, the Hub and Spoke strategy is commonly adopted by businesses which leverage heavily on their digital marketing activities to drive customer traffic and leads. The Content Hub of your business which is essentially a home base for your content to spring out from. This normally takes the form of a website, blog, or hybrid website/blog. The Spokes which are the online platforms where you reach out to your audiences using content as a “bait” to draw them to your content hub. These could include photos on Instagram, Facebook posts, LinkedIn posts, tweets, YouTube videos, emails, and others. This can be visualised by the diagram above. Often, your content hub sits on your company’s website, and can be visualised as a “home base” where visitors from multiple channels (ie “spokes”) like Facebook, Twitter, LinkedIn, emails or WhatsApp converge to read, view or listen to your content. The key thing here is to use your content to improve your brand reputation, educate potential customers, or convert them. Now that you’ve got the hub and spoke model in mind, you need to consider what your content marketing goals are. Normally, this is a subset of your overall business and marketing goals. 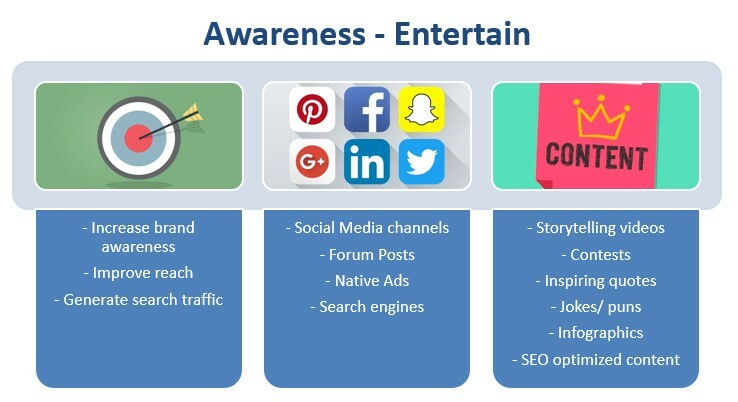 Often, content marketing may be part of your broader integrated marketing or communications plan which may include non-digital marketing and PR activities (like media relations, billboard advertisements, front-line customer service and so on). Typically, these are concerned with the overall reach of your content marketing campaign, as well as its brand awareness, recognition and public perception. Your key role here usually lies in entertaining or “edutaining” your audiences so that they start to pay more attention to your brand. Most of the content work here occur at channels that are public such as social media networks or search engines. The types of content which work well here include stories, contests, or ads. Or they could be SEO-keyword articles that are ranked. They could also be videos. The second possible goal for content marketing lies at what we call the Consideration (or engagement) stage. To engage with your audience at this stage, you may wish to Educate them. 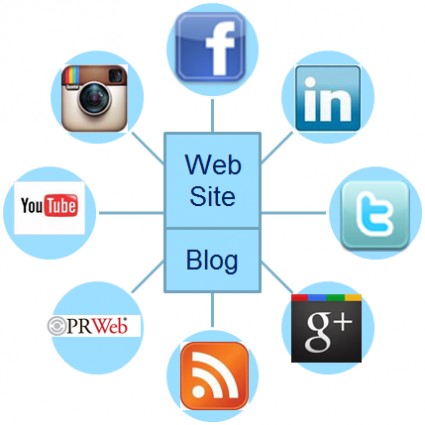 Consideration normally occurs both on your social networks as well as your website. It involves your potential customer interacting with your content, ie liking it, commenting on it, sharing it, or clicking on a link. Website indicators may include your website bounce rates (ie number of people who visit one page and leave) and duration of visit. Content types that work better here tend to be more educational in nature. They include “How To” videos, an educational article (like this one), a podcast episode, or maybe a useful infographic. Normally, longer-form content works well here. Conversion is where the rubber meets the road (or the cash meets the cash register). If you don’t convert, you don’t generate a sale, and if you don’t generate a sale, you don’t eat. Examples of conversion include number of subscribers, downloads, app installations, sales made and value of revenue generated. Content and channel types for conversions are usually associated with the website itself, a landing page, or a promotion code that users can download and use. They may also include live events where sales offers can be made. 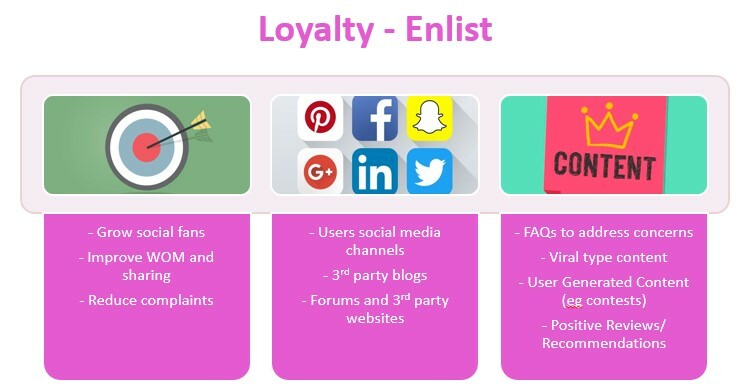 When we talk about loyalty for content marketing, it normally involves getting more customers to stick to you and speak up for you AFTER the purchase decision. You can do by finding ways to enlist them to be your advocates and enchant them with great customer experiences. Your purpose here could be to increase fan growth, grow the number of repeat buys, or reduce complaints, and these could be measured by indicators like shares per post, fan growth, or repeat visitors to your website. Channel wise, a mix of both your owned media as well as earned media (of fans) could be used, and content types here may include useful FAQs, responsive replies (especially on social media), User Generated Content (UGC), positive reviews on forums, as well as viral content. While it is tempting to cover everything – including the kitchen sink – the general rule of thumb is such that fewer content marketing objectives yield better outcomes. Your ultimate goal in content marketing is to “graduate” your potential customers using different types of content to turn strangers into visitors, visitors into readers, readers into leads, leads into prospects, and prospects into customers. Beyond becoming your paying customers, you may also wish to turn your happiest customers into brand loyalists and advocates by providing them with great customer service. Top Of FUnnel (TOFU): Content that is used to attract visitors at the Top Of FUnnel (aka TOFU) are normally more basic and lightweight in nature. They may take the form of social media updates, blog posts, tweets, quotes, or infographics. Such content may also be advertised using specific keywords on Google, or targeted at key demographics/psychographics on Facebook. Middle Of the FUnnel (MOFU): Here, warmer audiences would normally spend more time reading your blog articles, or even “opting-in” via a landing page to get a longer-form and more valuable piece of content (called a lead magnet). Lead magnets may include an eBook, templates, videos, white papers or research reports. 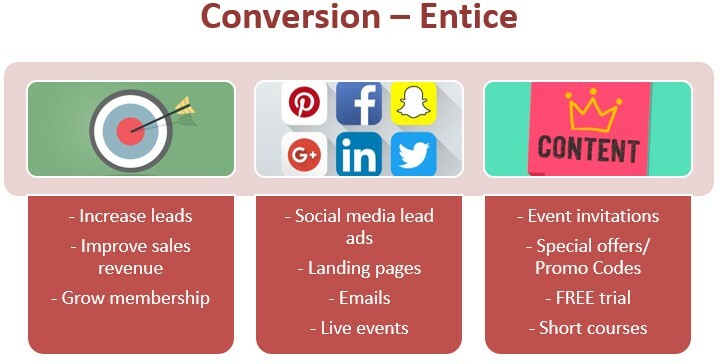 Bottom Of the FUnnel (BOFU): At this stage, your members would be converted to become paying customers through more specific Calls To Action (CTAs). This could include offering a free consultation session (face to face or telephone), or special promotions to drive repeat sales. You may also invest in community management and customer experience targeted content to improve loyalty and advocacy. You can read more about optimizing your digital marketing funnel here. 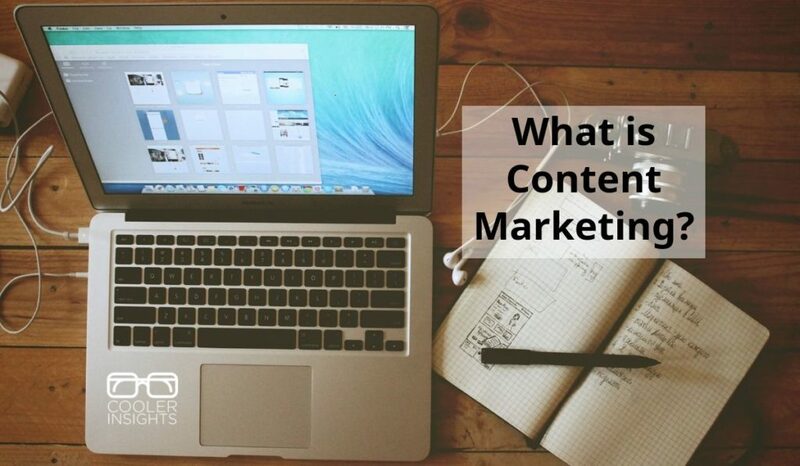 How do you develop a content marketing strategy? 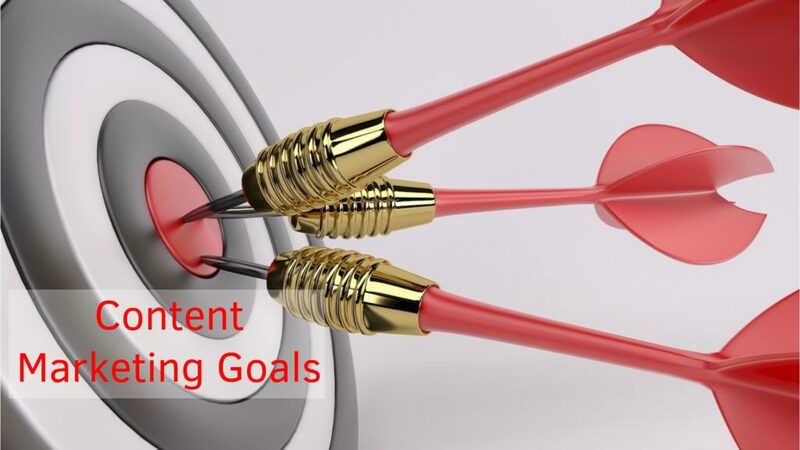 Content Marketing Goals: What do you hope to achieve? How do you track your customer activity across your marketing funnel? Competitor and Trend Analysis: What are some of the latest developments in the space? Which companies are the best players and how did they get there? Content Types: What are the different forms and types of content that you wish to create? Content Calendar: What is the best frequency for your published content? 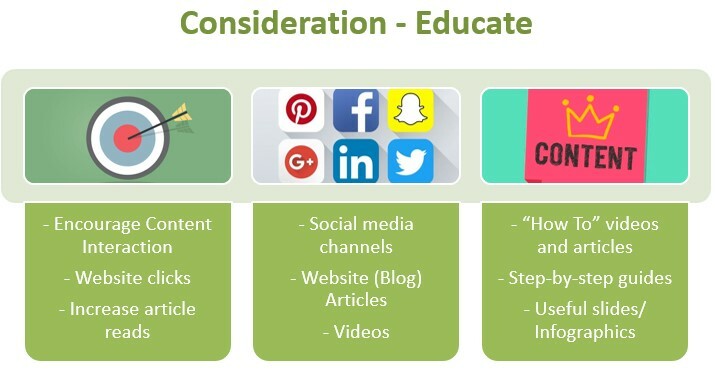 Content Marketing Channels: Which channels will you use to publish and share your content? How do you promote your content? Content Marketing Metrics: How do you measure the success of your content marketing efforts? 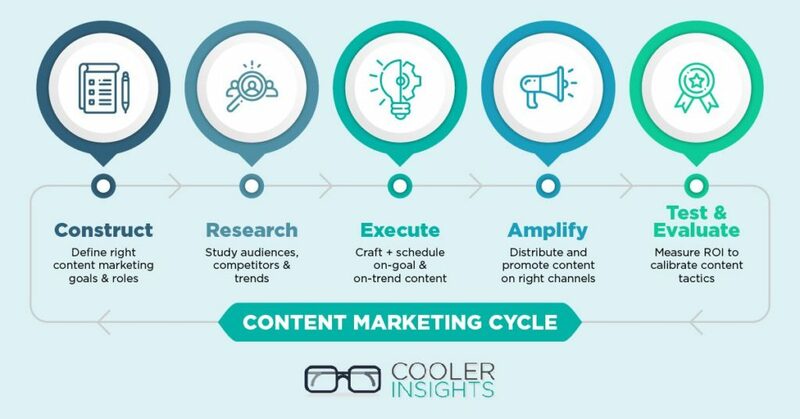 In thinking about this, I’ve created a 5-step process for content marketing as shown below. Using the acronym, CREATE, we’ve developed a systematic step-by-step approach to craft a content marketing strategy. Methodical and structured, the CREATE Content Marketing Strategy goes through the essential steps needed to optimize your content marketing campaigns. First, you need to establish your content goals, map out your customer buying journey, and build your content marketing function. 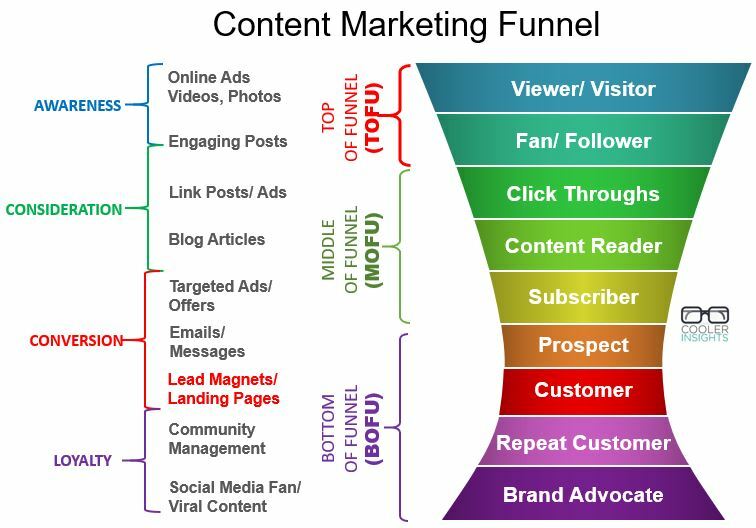 In constructing your content marketing funnel, it is important to consider the types of customer actions that you desire across your customer’s journey. Next, you need to study who your target customers are. Map out their demographics, psychographics, and online behaviours. Determine which search keywords and social media topics they’re interested in. You should also suss out what your competitors are doing online, and analyse trends in online algorithms. Once you’ve got your content environment and function mapped out, your goal is start creating great content. Begin by crafting your brand story. Tell the whole world what your brand or your company is all about. You should also choose the right content types to build. Should you write a blog article? Launch a new landing page? Produce a YouTube video? Craft an email? Once you’ve got your content pieces in place, you’ll want to find a way to manage and schedule your content. Promoting your content can be a tedious job, but it is crucial to your success as a content marketer. From sharing your content on social media to optimizing it for SEO, you need to consider what’s the best strategy to get your content noticed, clicked on, and acted upon. Finally, and perhaps most importantly, you need to be able to measure the performance of your content marketing efforts. Using a range of analytics tools like Google Analytics, Facebook Insights, LinkedIn Insights, and more, you can track and optimize your content marketing efforts throughout the funnel. Doing so allows you to tweak your strategies and tactics midstream. What I’ve covered above are just the tip of the content marketing iceberg. However, it does provide a good introduction to what content marketing is all about. To learn more about content marketing, do subscribe to our weekly emails, or check out our treasure trove of marketing articles here. Wish to learn the details of content marketing? Sign up for my two-day content marketing strategy course! Done in partnership with leading digital marketing training provider Equinet Academy, the course will equip you with the knowledge and abilities to craft a robust content marketing strategy in an interactive hands-on manner. All participants will receive a detailed workbook, gain access to useful tools and templates, and enjoy comprehensive pre and post workshop support.